Let the Good Time Roll: Win a Copy on Blu-Ray and DVD! Lest that LSD kick in too soon, we’ll keep this simple: the Safdie brothers’ Good Time is one of the best movies of 2017, a defiantly modern crime classic, and if you haven’t seen it, we’d like to help you out like only a brother would. 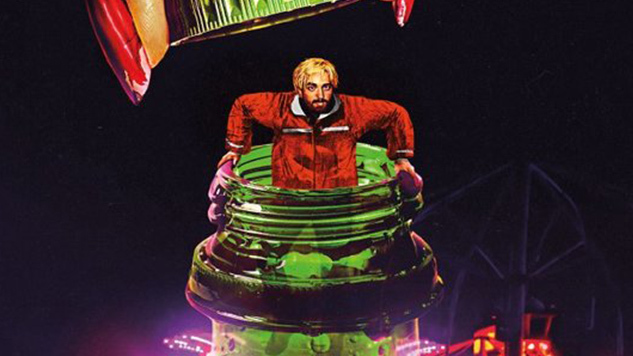 Good Time is the latest from directors Josh and Benny Safdie, who prefer plunging a viewer into their characters’ worlds until you’re up to your neck. 2009’s Daddy Longlegs was about a deadbeat dad, his behavior mysterious to everyone—including himself. 2014’s Heaven Knows What was about a heroin addict living on the streets, played by a former homeless heroin addict. The Safdie brothers don’t bother introducing their characters or explaining their worlds—our disorientation is part of the filmmakers’ design, which leaves us reeling, trying to understand subcultures so much harsher and urgent than our own. Good Time just arrived on Blu-ray and DVD yesterday, November 21st, so we want to give away three copies! 3. Include the hashtag #GoodTime. And in the spirit of giving you the kind of good time you probably won’t have sitting around a Thanksgiving dinner table with your conservative relatives, we’ll pick a winner very soon! Note: Winner must be a U.S. resident.